The General Monitors gas and flame detectors that now carry the MED wheel mark include: the FL4000H Multi-Spectrum IR Flame Detector, the S4000CH Combustible Gas Detector, the IR400 Point IR Gas Detector and the IR4000S Single-Point Gas Monitor. General Monitors also has obtained Type Approval for these products to ensure qualification for use in all marine markets. 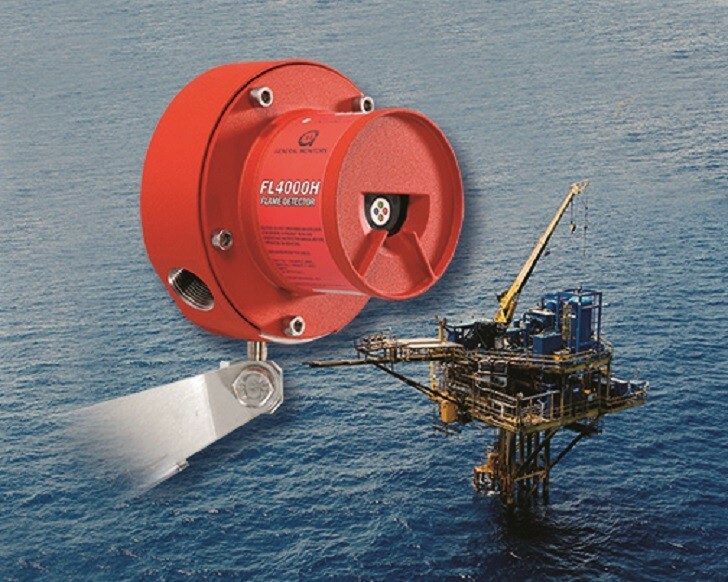 The following products are DNVGL Type Approved: the FL4000H MSIR Flame Detector, the S4000CH Combustible Gas Detector, the IR400 Point IR Gas Detector, the IR4000S Single-Point Gas Monitor, the IR5500 Open Path Infrared Gas Detector and the Gassonic Observer-i Ultrasonic Gas Leak Detector. DNVGL approval assures General Monitors’ customers that its gas and flame detectors have been independently tested and found to meet the highest industry standards while supporting the values of safeguarding life, property and the environment. The Model FL4000H Multi-Spectrum IR Flame Detector is an advanced multi-spectrum infrared flame detector. It is designed to provide superior false alarm immunity with the widest field of view for superior protection. The S4000CH Combustible Gas Detector is a microprocessor-based transmitter designed for use with General Monitors’ catalytic bead sensors. The Model IR400 Infrared (IR) Point Detector is a hydrocarbon gas detector that continuously monitors combustible gases and vapours within the lower explosive limit (LEL) and provides alarm indication. The Model IR4000S Single-Point Monitor is a display and user interface for the IR400 IR Point Gas Detector. The Gassonic Observer-i Ultrasonic Gas Leak Detector instantly detects pressurized gas leaks. It features artificial neural network (ANN) technology that distinguishes real gas leak noise from background noise to prevent false alarms.